Apple scored a swift victory by having its proposed "nano-SIM" adopted as a new standard earlier this year, and we may not have to wait long to see the fruits of that labor. The new, smaller SIM card standard was reportedly spotted at a T-Mobile retailer in Germany along with a letter from corporate promising details to come about "the latest generation of smartphones" available "in the near future." 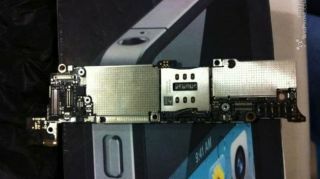 Rumors have been flying in recent weeks that the iPhone 5 will be the first handset to include a nano-SIM. Now that Cupertino has officially announced its Sept.12 media event, the writing appears to be on the wall. A translation of the nano-SIM letter from T-Mobile makes no reference to the iPhone, which analysts are expecting the company to be unveiled next week. "Dear partners: You will receive today a new generation of SIM cards for the latest generation of smartphones that come in the near future on the market," the letter reads. "Sort your SIM card please first not in their cards in hand and give it not out to customers. We will inform you shortly about how to proceed," the instructions conclude. Apple's nano-SIM standard is smaller than even the micro-SIM used in the current iPhone 4S and new iPad, measuring only 12.3 x 8.8 x 0.67mm.